Actually it has, but at my end not the other. Someone pointed out to me that being in the distribution of firearm parts, particularly triggers and hammers, incurs liability. At the $240 sale price, it wasn’t worth the risk. The items are no longer for sale, but I am unable to edit the original post and thread title. my apologies to the gentlemen who contacted me, I really did not wish to back out from the deal, but this was too serious a matter to go forward with the transaction. Please message me if you change your mind. With the lost trigger group, I had to buy another to replace it. 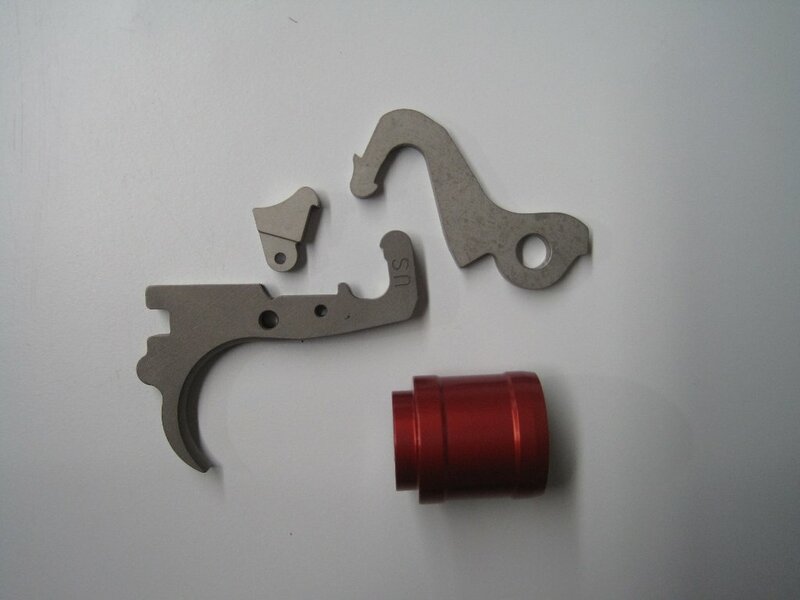 The replacement from Numrich Arms was an early alloy housing trigger assembly. 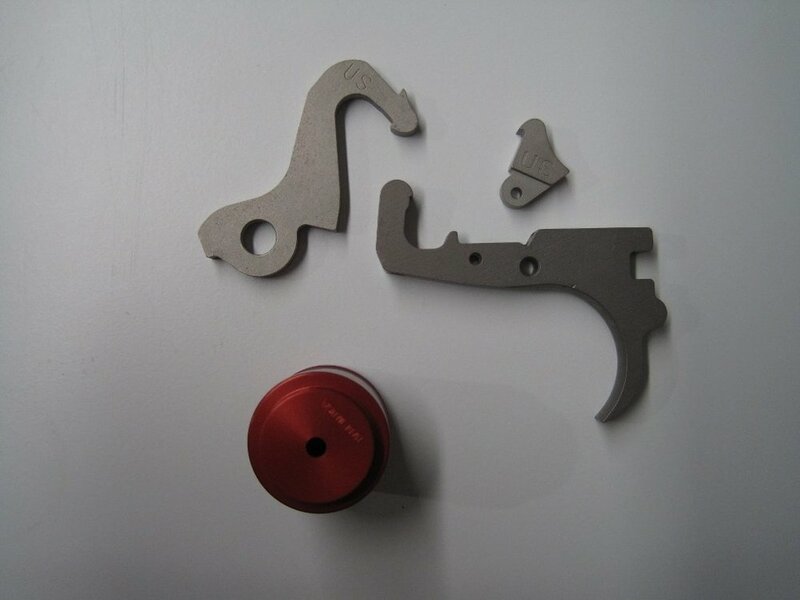 I had already purchased a second A&S trigger housing, so I am going to build a spare on the Benelli alloy housing using these fire control parts. Respectfully, I’m just curious. What “lawyer” suggested to you that you have any more liability selling gun parts (which uninstalled CANNOT harm you or anyone else) than say, a car? I’m not asking the individual be identified, but please pause for a moment and consider what I just said. You are not distributing firearm parts. ou are conducting a private sale to some one old enough to own a shotgun. Like DC Dog said, was the individual a Lawyer? or just someone who stayed at a Holiday Inn Express ? Have you ever been named the defendant in a lawsuit? Even when you win, you loose. The plaintiff's lawyer will name every person and organization even remotely connected. They do this to maximize the available purse. I was told "They will let the court determine who is responsible." No judge will make a summary judgement. The judge will let the suit wander through the court system to it's final conclusion. This modus operandi maximizes the fees for lawyers on both sides. My firm was named defendant in a $25,000.00 lawsuit. My Errors and Omissions insurance paid for my defense team. I never saw their bill. I am sure it was substantial. After arbitration my defense team settled at $617.00. This to make it go away and close it out. I was angry the plaintiff received any money from me or my insurance company. But I also understand this was a monetary decision to stop my insurance company from paying any more in my defense. My lawyer told me the arbitrator was a professor at UC'S College of Law. He presented the case to his students. They had a hard time accepting the plaintiff's claim. A case that should never been made ran up lawyer fees on both side to a substantial amount. Would you like to buy into all this for a mere $240.00? Knock yourself out. There are some gun parts I do not mind selling. These parts will sit on the shelf and in a year likely land in the trash. A damn shame. I know there are folks who would like the parts. Blame the lawyers.